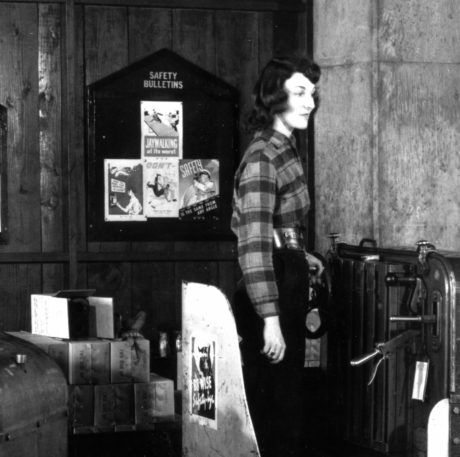 Before posters of Rosie the Riveter encouraged women to enter American factories in large numbers during World War II, women had already earned a strong track record in both labor and management positions at John Deere. It began, in a very small way, a movement that continues today. 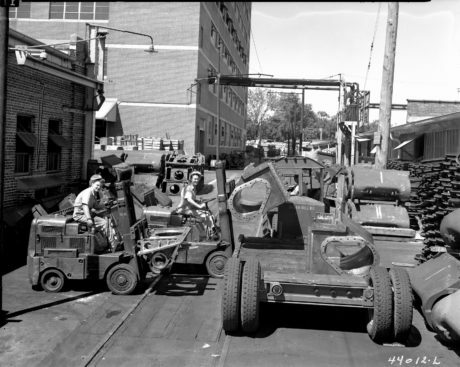 During World War II, women took production jobs in John Deere factories. The woman pictured above is shown working in the John Deere Spreader Works, East Moline, Illinois,1944. 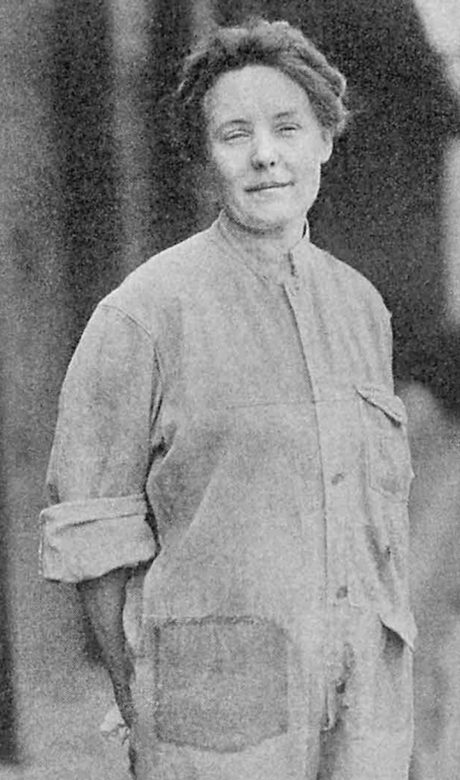 Daisy Taylor was the first female employee at John Deere, joining the corporate office in 1885 as a stenographer before moving on to pursue a degree and becoming a kindergarten teacher. Daisy often returned to visit Moline and her former colleagues, even leading children’s programs in the home of company president Charles Deere. In the late 19th and early 20th century, women were typically “confined to stenography and typewriting,” according to the company policy manual of the time. Despite this, women expanded into a variety of other positions over the years. By 1918, five percent of Deere employees in Moline and East Moline were women. Germania Auers, a Belgian immigrant, began working at John Deere as a core maker at the age of 13. She was eventually promoted to manage the entire core department, male and female. Women started to move into jobs at the John Deere Malleable Works, a foundry located in East Moline, Ill. Germania Auers, a Belgian immigrant, was only 13 when she began there as a core maker. Auers later said her parents lied about her age so that she could work before turning the legal employment age of 14. Auers was eventually promoted to manage the entire core department, male and female. In 1926, she was recognized with a special letter of appreciation for her 25 years of service. She managed 60 employees at the time and had the distinction of being the longest tenured female factory worker in the Tri-Cities (today’s Quad Cities). This 1944 photo captures two female employees helping with the war effort. The Iowa Transmission Co & John Deere Tractor Co (Waterloo, Iowa) produced tank transmissions and parts for navy aircraft during World War II. At the John Deere Plow Company, a branch house in Bloomington, Ill., Grace Harwood was named manager in 1920. Born in Bloomington, she was hired as a stenographer in 1912, working her way to assistant manager. When manager Fred J. Savage passed away, Harwood was named interim manager, and soon after, the promotion was made permanent. Elizabeth Denkhoff was another woman who paved the way for gender equality, serving as John Deere’s first female corporate officer in 1971. 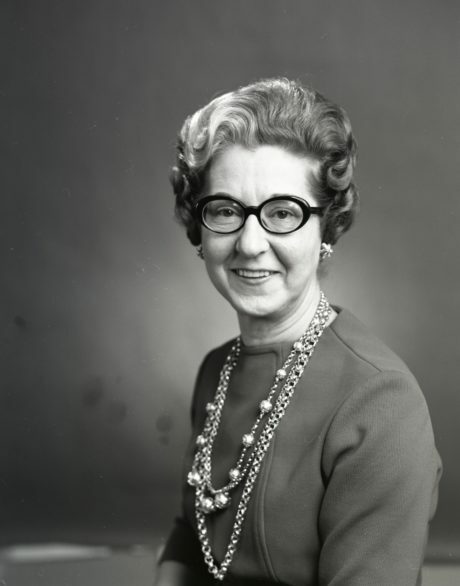 While there is little documentation to fully tell the stories of pioneering women like Daisy Taylor, Germania Auers, Grace Harwood, and many others, there is little doubt their accomplishments paved the way for continued progress of gender equality, including the rise of Elizabeth Denkhoff as Deere’s first female corporate officer in 1971, and the election of Juanita Kreps as the first female member of the Board of Directors in 1982.